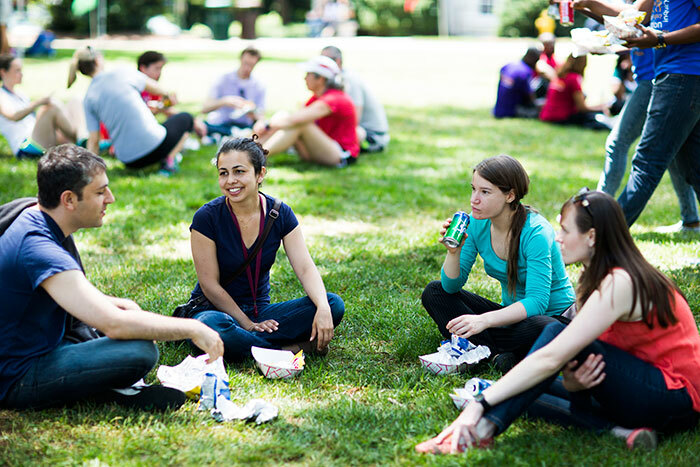 Staff Fest, the University's annual celebration of its employees, filled the Quad on Friday. 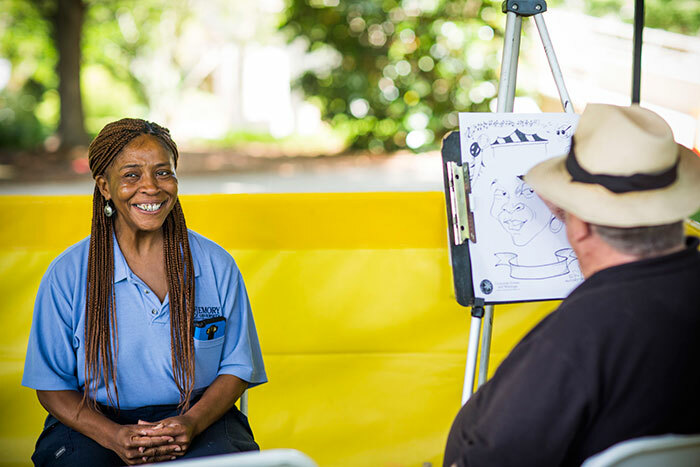 Attendees enjoyed music, food and activities including caricatures and a rock-climbing wall. 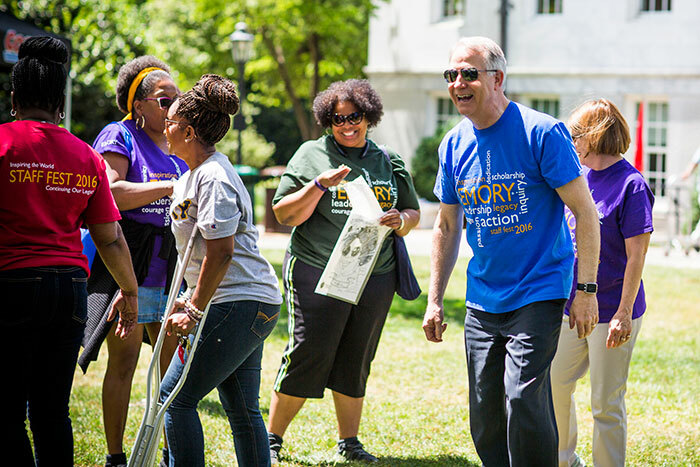 Emory President James Wagner mingled with the crowd and gave remarks from the stage thanking staff for supporting him during his tenure here. 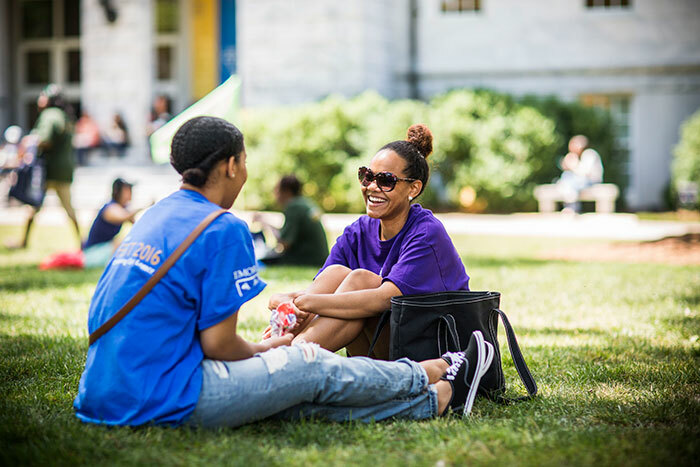 We asked Staff Fest attendees about what you like best about being an Emory employee, what you have learned from working here, and your favorite things to do and places to visit on campus. 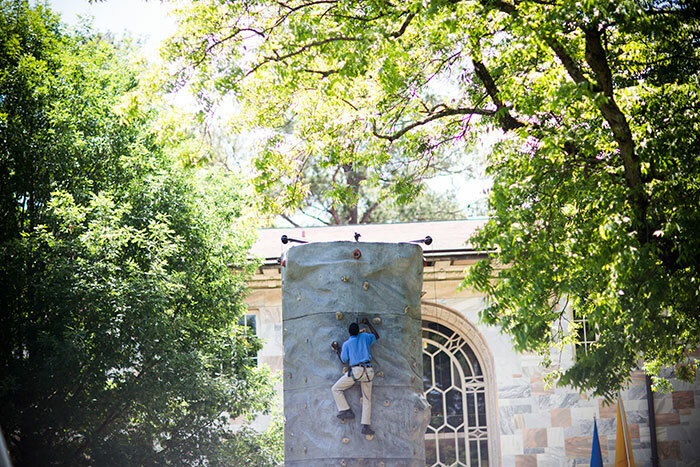 Look for your answers in upcoming issues of Emory Report, which arrives in your inbox every Tuesday during the summer. 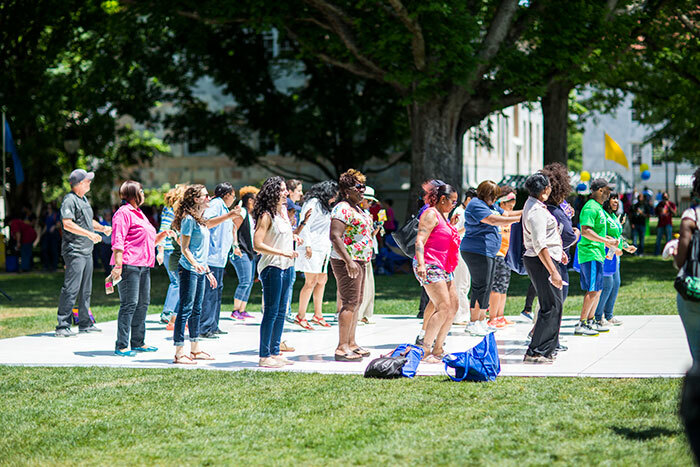 Crowds filled the Emory Quad on Friday for Staff Fest, the University's annual celebration of its employees. 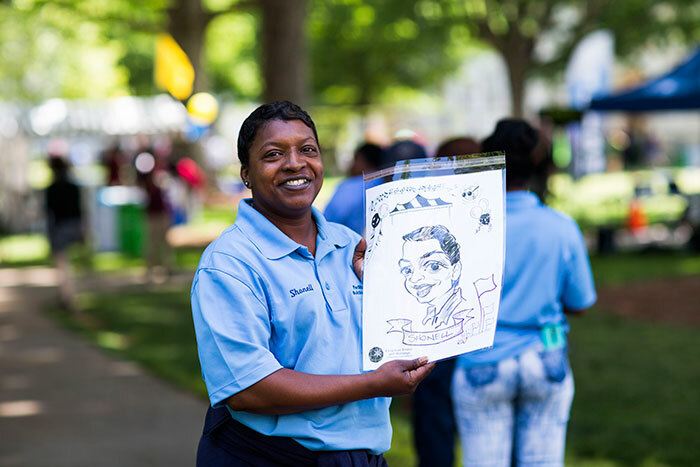 Traditionally held the Friday after Commencement, Staff Fest thanks Emory employees for dedication throughout the academic year. 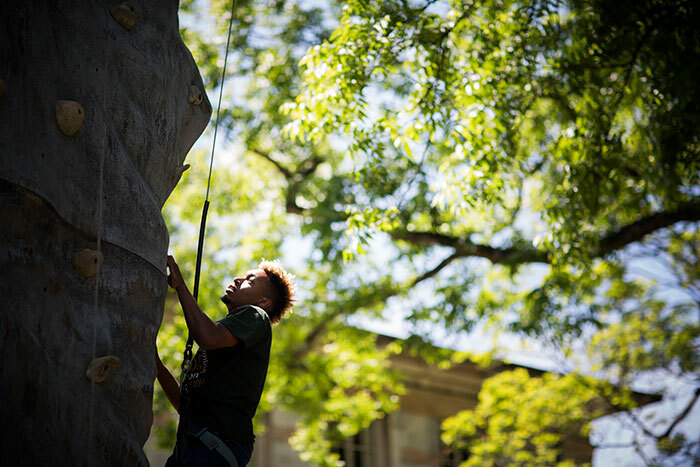 Blue skies greeted staff members who enjoyed music and refreshments while mingling with colleagues and taking part in activities including pick-up basketball, dancing, a rock-climbing wall, caricatures, games, a volleyball tournament and the Fun Run-Walk. 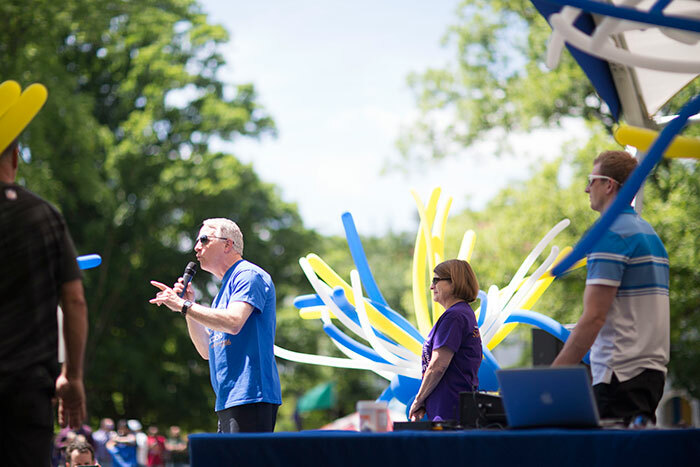 Speaking from the stage, Emory President James Wagner expressed his gratitude for Emory's staff, noting that this was his last Staff Fest. 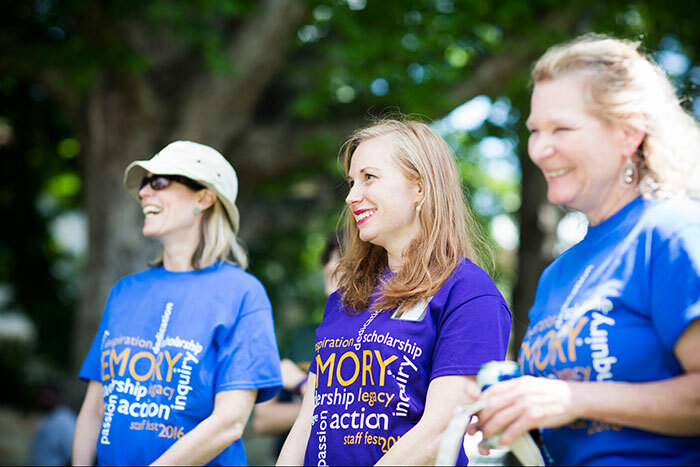 After 13 years at Emory's helm, he will retire in August. 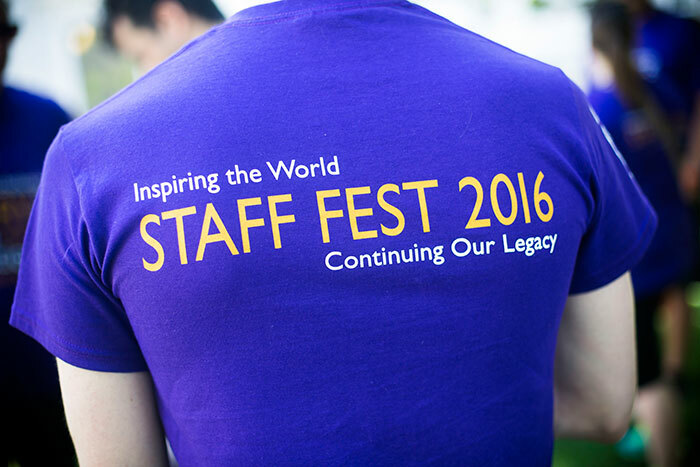 This year's Staff Fest theme was “Inspiring the World…Continuing our Legacy." 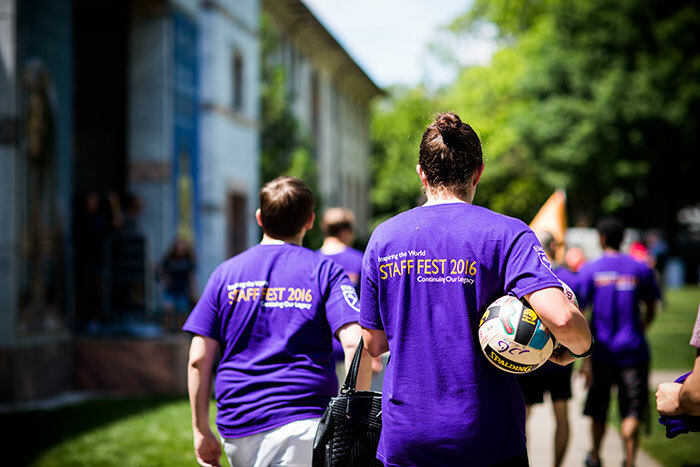 The Staff Fest T-shirt honored Wagner by using words from his speeches to illustrate the theme. "I'm so flattered by the shirts. The words on these shirts came out of some of the communications I have sent, but they look to me like your words and not just my words," Wagner, joined on stage by his wife, Debbie, told attendees. "I like this business about 'Inspiring the World.' 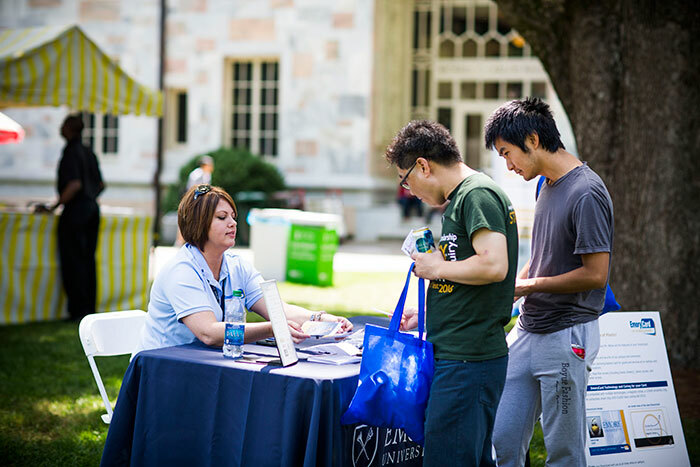 … Emory more and more is a place that the world looks to for guidance. Thank you for that," he said. "It also talks about 'Continuing a Legacy,' and that is the legacy of not just the mind, but the heart and the mind." 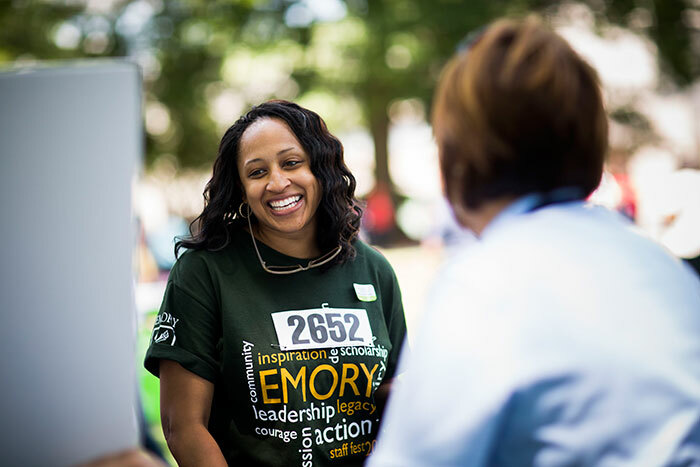 Emory's work will continue without his presence, Wagner noted, but not without his support. "We've been doing that together for 13 years — we've been partners, we've been co-workers and colleagues, we've been friends," Wagner said. 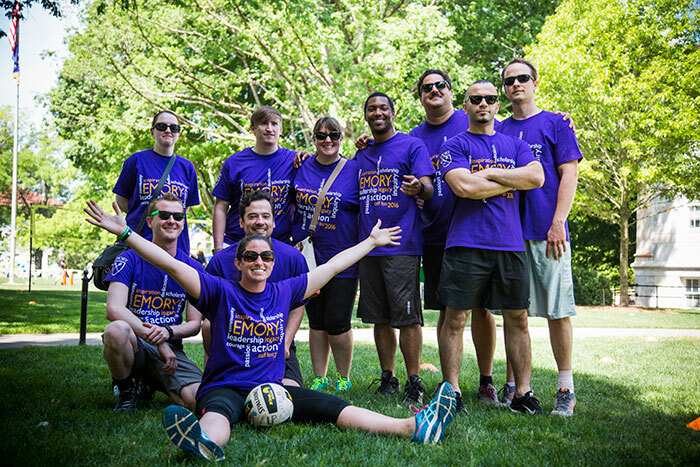 "It's got to keep going, and you will still be all of those partners and colleagues and co-workers and friends to each other." And while he will no longer be a co-worker, "I promise to be your friend and we promise to keep watching and praying for this place, this very noble place. I want you to promise to give the same support and love to the new president as you have given to Debbie and me," Wagner said, bidding farewell. "We love y'all. Goodbye and Godspeed." 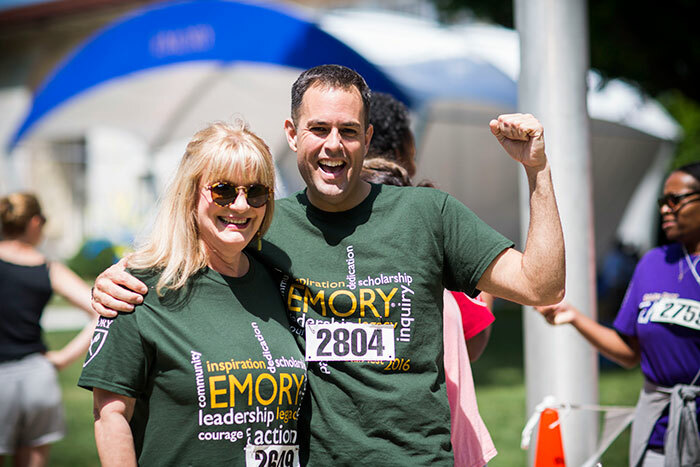 The annual Fun Run-Walk stepped off from Asbury Circle at 11 a.m., circling around the Emory campus to end at the Quad as the main Staff Fest activities got underway. 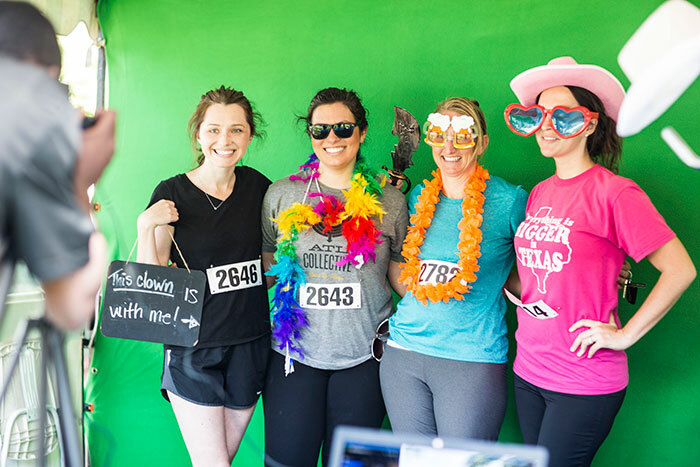 Runners were honored for first, second and third place in four age groups for both women and men. 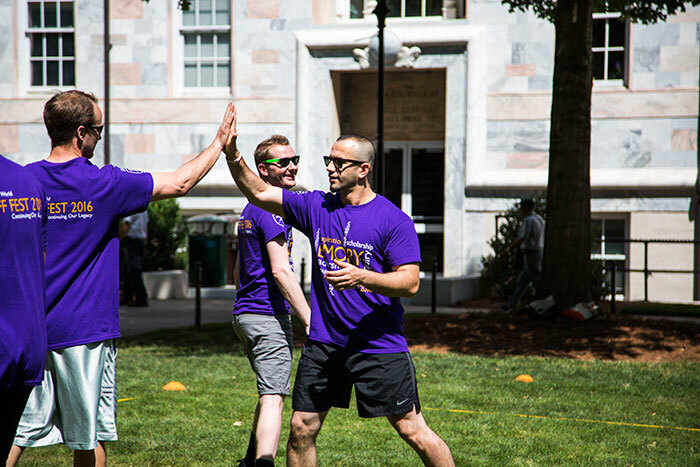 The volleyball tournament, a favorite at Staff Fest known for its fierce but friendly competition, got underway at 11 a.m. on the Quad with 15 teams competing. 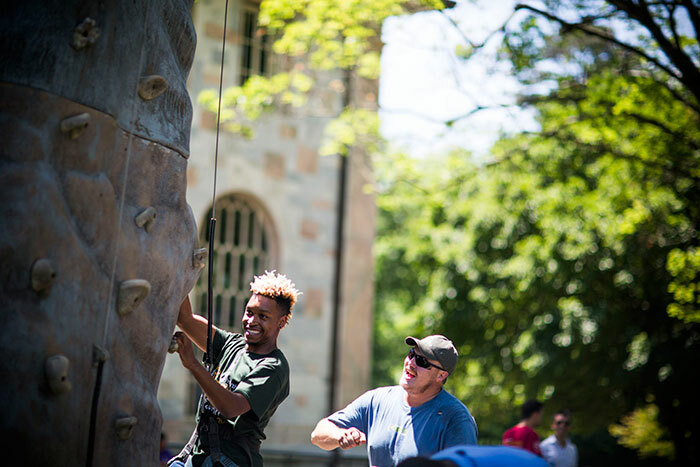 This year's bragging rights go to the Monster Fire Truck Dinosaurs, mostly made up of staff members in the Facilities Management department in Campus Services.